The Proposed Tax Regulations to Stop Discounting Under IRC Sec. 2704 — What You Should Do and Do Now! We write to inform you that the Treasury (IRS) just issued Proposed Regulations that could have a dramatic impact on your estate planning by eliminating valuation discounts. For wealthy people looking to minimize their future estate tax, this is critical. It can also be essential for others as well. If you are concerned about protecting a family business from the risks of future divorce, or protecting your assets from lawsuits or malpractice claims, discounts can enable you to leverage the maximum amount of assets out of harm’s way, without triggering a gift tax in doing so. should be reduced to reflect the difficulty of marketing the non- controlling interest in the event of a future sale. As a result, the value of the 40% business interest transferred to the trust might be appraised, net of discounts, at $2.4M. The discount has reduced the estate by $1.6M from this one simple transaction. Election Impact: If the Democrats win the White House and the Democratic estate tax proposals are enacted, the results will be devastating to wealth transfer planning. Pundits have prognosticated that a Democratic White House could affect down-ballot races and flip the Senate to the Democrats. The Democratic tax plan includes the reduction of the estate tax exemption to $3.5M from its current $5.45M; elimination of inflation adjustments to the exemption; a $1M gift tax exemption; and a 45% estate tax rate. The Democratic plan will most likely include the array of proposals included in President Obama’s Greenbook, which seek to restrict or eliminate GRATs, note sale transactions to grantor trusts, and more. Wealthy taxpayers who do not seize what might be the last opportunity to capture discount planning, might lose much more than just the discounts. They might lose many of the most valuable planning options currently available. Not a 2012 “Boy Who Cried Wolf”: Many of you might remember the mad rush to plan in late 2012 on the fear that the gift, estate, and generation skipping transfer (GST) tax exemption might be reduced from $5M to $1M in 2013. After many incurred significant costs and hassles in implementing planning quickly, that change never occurred. 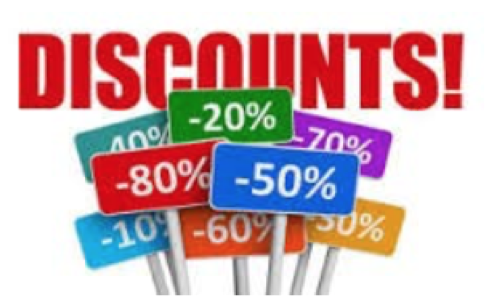 For those who might be affected by discounts, the situation in 2016 seems vastly different. The Proposed Regulations could be changed and theoretically even derailed before they become effective. However, the more likely scenario is that they will be finalized after public hearings, and the ability to claim valuation discounts will be severely curtailed. regrets in 2012 planning were for those who transferred assets out of their own reach. With the right planning techniques, that really is not necessary to achieve the desired goals. Act Now: Time is of the essence. Once the Proposed Regulations go into effect, which could be as early as year-end, the ability to claim discounts might be substantially reduced or eliminated, thus curtailing your tax and asset protection planning flexibility. What You Should Do: Contact Susan Jerome, susan@jmvlaw.com, to schedule an appointment with our office. As your estate planning attorney, we will review the strategic wealth transfer options that will maximize your benefit from discounts while still meeting your other planning objectives.